Are you looking for a well kept home on quiet cul-de-sac? This is one you should see. Located in a nice neighborhood, this house is around the corner from a park. 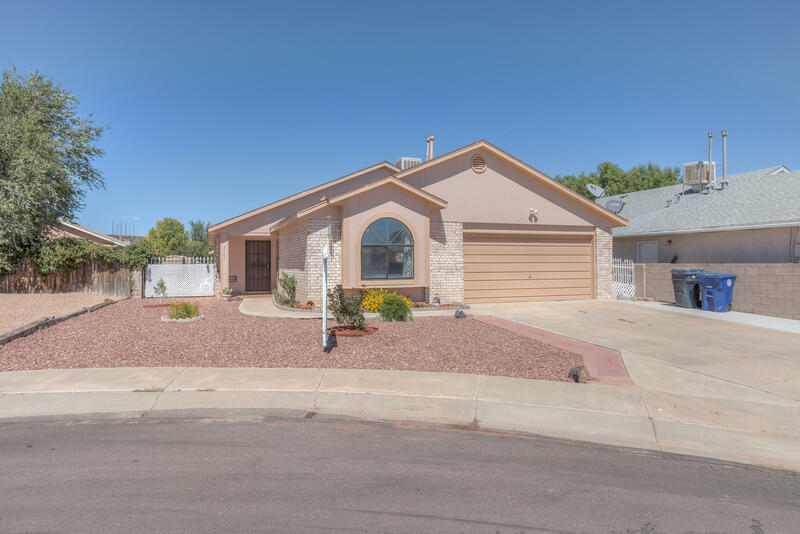 The home features four bedrooms, two baths, and a spacious living room. An additional to the home added a fourth bedroom and a nice sized office or hobby room. Newly xeriscaped front yard, and side courtyard require minimal maintenance. The owner recently added a new evaporative cooler, new water heater, and a fresh coat of paint. Easy access to i40 off unser. Just minutes away shopping, restaurants, coffee shop, brewery, gas station and grocery store. There is also a home day-care facility nearby. Come see it today. For more information or make an appointment to see property ID 942040.